In November, The New York Times suspended reporter Glenn Thrush pending its investigation of inappropriate sexual behavior. Yesterday, the paper announced that Mr. Thrush’s suspension would continue into 2018. But, after that, he would remain with the paper. Here is the statement from the New York Times. Now, in the court of public opinion, this second (last?) chance may not fly. However, the law is clear. Title VII of the Civil Rights Act of 1964, the federal law governing sexual harassment at work, requires that once an employer knows about allegations of sexual harassment, it must exercise reasonable care to prevent and correct promptly any harassment. Generally, that involves an investigation and appropriate discipline in situations in which the company confirms the allegations of bad behavior. Now, that reasonable care language is important. Because the law does not require a company to guarantee that the harassment will never happen again. If that were the case, then the only possible outcome would be a termination of employment. However, under the reasonable-care standard, a lengthy suspension, transfer, and what is effectively a last-chance agreement may be appropriate. 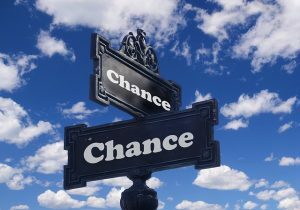 But, a recent Second Circuit decision confirms that there are some strings attached to giving second chances. In MacLuskey v. University of Connecticut Health Center (opinion here), the plaintiff brought a sexual harassment claim against her employer. At trial, she won! The defendant disciplined and subjected the alleged harasser, Dr. Young, to a last-chance agreement for his behavior towards another co-worker. The plaintiff testified that, nearly a decade later, Dr. Young started sexually harassing her. The plaintiff complained to two co-workers. The plaintiff alerted one of her supervisors to a possible issue with Dr. Young but did not articulate that the issue involved sexual harassment. Ultimately, when another supervisor learned about the allegations sexual harassment, the company investigated and Dr. Young resigned. The company asked the court to toss the jury verdict because it did not know about the plaintiff’s allegations of sexual harassment until she told the second supervisor, after which the company took appropriate action. In other words, it exercised reasonable care. The Second Circuit dismissed the company’s arguments, by reasoning that the jury could have concluded that: (a) Dr. Young’s supervisors, including the first supervisor, should have been aware of the last-chance agreement, but were not; (b) Dr. Young’s supervisors should have been monitoring him, especially given the isolated and close working environment; (c) when the plaintiff told the first supervisor about the issue with Dr. Young, the supervisor should have asked more follow-up questions, but didn’t. In other words, the employer could have and should have done more earlier to learn about the plaintiff’s allegations of sexual harassment. Remember the “set it and forget it” infomercial? Employers, this ain’t no rotisserie oven. What this case teaches us is that while the law may allow for second chances for someone who violates your anti-harassment policy, the days, weeks, months — heck — years ahead are going to require some active oversight and follow up. So, do you want to run a business and be a babysitter at the same time? Or are you thinking that maybe second chances won’t apply here?